Why aren’t math professors sociopaths? Imagine you’re a scientist in some sci-fi alternate universe, and you’ve been charged with creating a boot camp that will reliably turn normal but ambitious people into broken sociopaths more or less willing to do anything. There are two main traits you’d want to cultivate in your recruits. The first would be terror: You’d want to ensure that the experimental subjects were kept off-­balance and insecure, always fearful that bad things would happen, that they would be humiliated or lose their position and be cast out. But at the same time, it would be crucial that you assiduously inculcate a towering sense of superiority, the belief that the project they happen to be engaged in is more important than anything and that, because of their remarkable skills and efforts, they are among the select few chosen to be a part of it. You’d want to simultaneously make them neurotically insecure and self-doubting and also filled with the conviction that they and their colleagues are smarter and better and more deserving than anyone else. He’s writing about young investment bankers, whose lives, such as they are, are described in Kevin Roose’s new book “Young Money.” But doesn’t this boot camp actually describe the Ph.D. experience pretty well? And if so, why aren’t math professors sociopaths? I can think of one reason: in finance, the thing you are trying to do is screw over somebody else. If you win, someone has lost. Mathematics is different. We’re all pushing together. Not that there’s no competition; but it’s embedded in a fundamental consensus that we’re all on the same team. Apparently this is enough to hold back the sociopathy, at least for most of us. Reader survey: Have you advised — could you advise? a Ph.D. student online? Or have you been so advised? Jason Starr asks a great question in the comments to the previous post: if you are a Ph.D. advisor, to what extent do you think you could advise a graduate student who you rarely or never physically met? If you’re a graduate student, to what extent do you think you could thrive if you rarely or never saw your advisor in person? Tagged advising, graduate students, Ph.D.
Should NSF give more, but smaller, graduate fellowships? That’s a proposal that appeared today on Citizen’s Briefing Book, the digg-style section of the Obama transition website where interested citizens can post, and vote on, suggestions for the new administration. On first glance, this sounds good to me! Currently, the NSF has a successful graduate fellowship program, which each year awards a few dozen students full support for their Ph.D. study, along with a $30,000 annual stipend. These students are the very strongest math undergraduates in the country, and the large majority go to one of the top 5 programs. What if, instead, the NSF gave ten times as many students a much smaller package? Say, enough to supplement a TA salary by $5,000 per year, and to offer one or two semesters of full support to be used during the dissertation year? That would make a big difference to a lot of students at state universities, who otherwise have limited time off from teaching. The argument for using the money to fund a small number of full-tuition fellowships, I guess, is that budgets are limited even at Harvard and Princeton, and the NSF fellowships allow more students to train at top departments than otherwise would. From running graduate admissions at Princeton I know very well that many, many students who would succeed at Princeton get rejected in favor of even stronger applicants. But graduate admissions are limited by things besides money — primarily the time and attention of the faculty. The justification for the huge stipend is even harder to imagine. It’s more than doubled since I was a grad student fellow in the mid-90s. If a student is deciding whether to go to grad school on financial grounds, $30K is the same as $15K — bubkes next to what a star math major can make in industry. So what would happen if the NSF gave many small fellowships instead of a few big ones? The students at Harvard and Princeton would still be fully supported, maybe teaching one semester to get some classroom experience. Maybe some students who otherwise would have gone to Harvard and Princeton would go to Chicago or Columbia instead. And a lot of U.S. students at good places like Wisconsin would write better dissertations faster. Of course, the effect would also include a big transfer of wealth from the top-5 math departments to my graduate students; so maybe my self-interest is showing here. See also: I. Laba’s thoughtful post on Canada’s NSERC Discovery Grant program, and whether it should switch from it’s current “many small grants” model to a “few large grants” model like the current NSF Graduate Fellowship. Tagged fellowships, graduate school, grants, NSF, Ph.D.
Where should you go to grad school? Read the whole thing: I agree with every word, except that Lugo says you should go to Penn, whereas in fact you should come to Wisconsin. If you’re wrestling with this decision right now, the most important thing I can tell you is that this decision doesn’t matter as much as you think. More precisely: it matters a lot, but the ways in which it will matter are almost entirely unpredictable, so you might as well not worry about them. Four or five years from now you’ll very likely look back and say “How wise I was to have chosen graduate program X!” — which is just what you’d have said about graduate program Y, had you decided to go there. How much do you like the city where you’d be living for the next several years? Living in a place you hate can be depressing, and being depressed means not doing good mathematics. How strong are the graduate students at the program, how long do they typically take to finish, and what kind of jobs do they get when they do? Make sure the program is well set-up to meet the kind of ambitions you have. How’s the atmosphere? Some math departments are really fun. Some are kind of dead. I don’t know any way to figure out which is which without physically visiting the place and walking around. How strong is the university “overall,” e.g., how highly rated is it in US News and World Report? In math we only care how good the math department is; membership in the Ivy League, for instance, doesn’t necessarily mean much. How strong is the group of faculty in my research area? As Lugo explained, you probably don’t really know what your research area is going to be, even if you think you do. 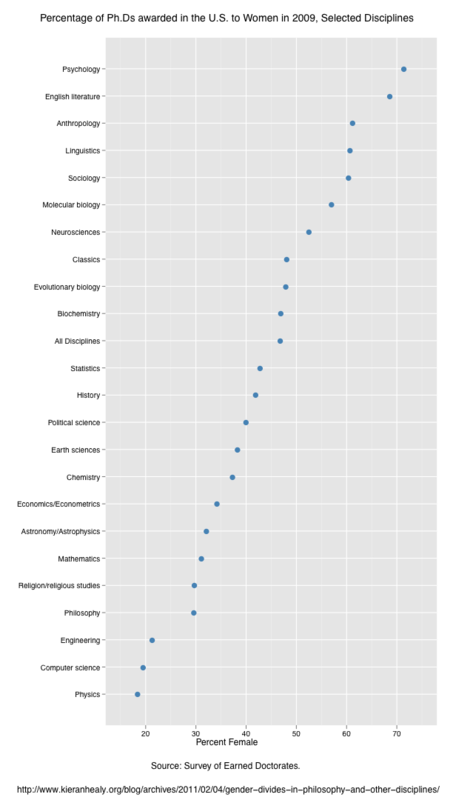 Lots of undergrads have had some exposure to number theory and differential geometry; many fewer have seen algebraic geometry, or representation theory, or PDE, or homological algebra, or symplectic geometry, or homotopy theory, or …. Don’t be afraid to go to a place where you don’t have any idea who you might work with. If the institution is a good fit for you, it’ll work out. How much am I going to get paid? In some circumstances, obviously (e.g. supporting a small child) this really does matter. But if you’ve got a B.A. in math, you’re already taking a huge pay cut by studying for a Ph.D. instead of becoming an I-banker. If you can go to a school that you like better and where you think you’ll do better math at the cost of making a few thousand dollars in annual stipend, you should do it — if you end up getting a fancier postdoc as a result, you’ll break even in a year. I, too, found this decision really difficult. For a long time I was pretty sure I wanted to go to Berkeley. But a friend of mine who was going to M.I.T. found a nice house in Somerville, and needed an extra person to live there, and I’d heard finding a house in Berkeley was really hard. So I went to Harvard instead. Is that a dopey way to choose a graduate program? Maybe. But it worked out fine for me. And it’ll work out fine for you, too! Tagged decisions, grad school, graduate school, Ph.D.
Congratulations to Mrs. Quomodocumque, who shall now and henceforth be known as Dr. Mrs. Quomodocumque!